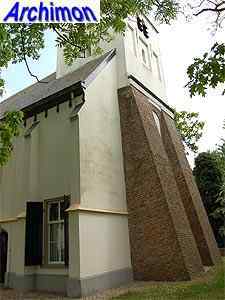 The Reformed church of Kerk Avezaath is a one-aisled building with a built-in tower of two segments and a choir that is slightly narrower than the nave with a three-sided closure. 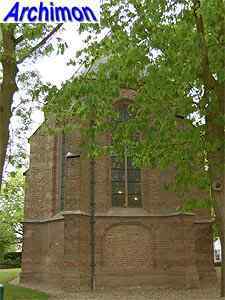 The tuff lower part of the tower dates from the 14th century, while the upper part probably dates from c. 1640. 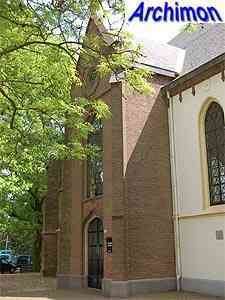 On top of the tower is a constricted spire. 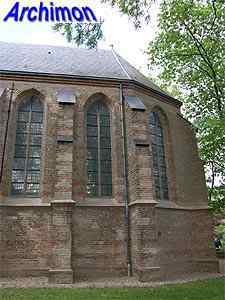 The lower segment of the tower is supported by two massive buttresses. 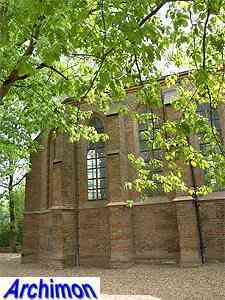 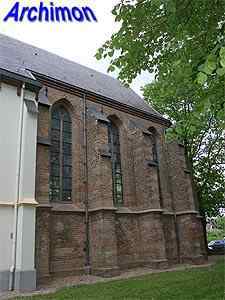 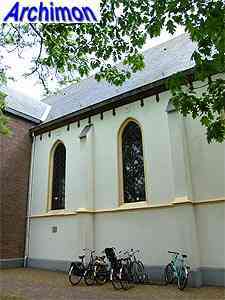 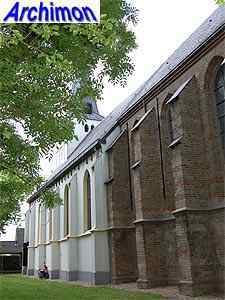 The original Romanesque church was replaced in 1861 by the current neo-Gothic one, designed by J. van der Toom, with a porch on the north side. 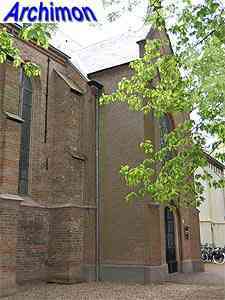 The late-Gothic choir dates from c. 1500, and is decorated with layers of tuff. 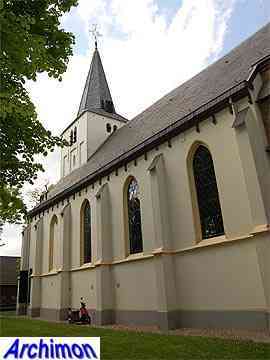 Most of the church is covered by a layer of white plaster, typical for protestant churches. 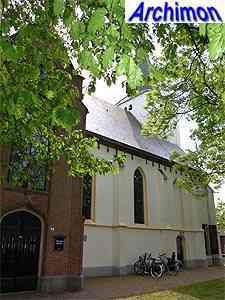 Despite the fact that the church has been used by the protestants for four centuries now, and most of the building was replaced since, it is still referred to by its former catholic name of St. Lambertus. 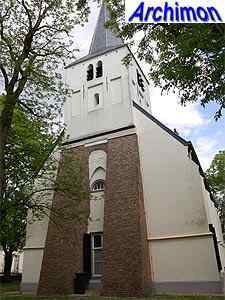 In 1999 the church was handed to a foundation for the preservation of old churches in Gelderland, Stichting Oude Gelderse Kerken (website in Dutch, opens in new window).